Today I am going to share a working technique for CPA marketing. If you want to become a CPA marketing expert or you are already earning with any other technique CPA marketing then also it will help you . So with out wasting time lets begin our post – “CPA With YouTube-How to make money with CPA Marketing with YouTube“. the whole plan is to promote CPA offers and make money out of it. What we are doing is very simple yet effective method – we are creating videos, YouTube videos and uploading it. Getting it ranked in YouTube and Google search engine. And driving this traffic which our video is receiving to Our Landing page, where we take a normal person and convert them into buyers with our conversion tricks. And thus. making money out of it. It really is! But when you will start reading from module 2, you’ll start discovering we are using a lots of twist and tweaks to make our system work much better – like ranking step-by-step action plan, advanced traffic methods, copywriting of landing page etc.. I have outlined everything in this CPA marketing with YouTube post in full details and in very such a way that even if you are totally new you won’t feel any problem, OR, if you are “advanced” CPA marketer, you’d still find this course handy and extremely helpful. Niche Selection –> Profitable Keyword Selection –> Making videos around our keywords –> Uploading our video and Ranking it higher in YouTube and Google –> So, now traffic will start flowing to your video –> Driving TRAFFIC to our landing page –> Landing page has our AFFILIATE CPA offers listed –> Money Rolls In! So, to make everything simple, I have broken down this flowchart in small chapters and in every following chapter I am going to discuss elements of this flowchart. So you are going to understand our whole process easily and you would be making money following this.  And then how to rank your video in YouTube and Google. The first step involves really crucial step so learn it very carefully. Many people ask me, I am trying soo much, still not earning anything. The answer is – they are doing something wrong, and the BIGGEST mistakes people do is – to save some time, or in laziness, or lack of correct information. They choose WRONG niche and keywords. Niche i.e., the topic/field in which you are going to work like weight loss, internet marketing, music, golf etc. 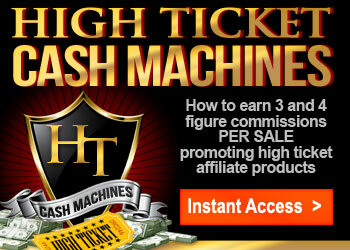 This doesn’t mean, this system can’t work in other niche, you can use it in any other niche you want. I am recommending these two niche because these have worked best for me. Its either internet marketing or health.. So for this course, I am going to take internet marketing niche as an example and show you how to do it, and how to earn real money! Keywords are the terms for which we are going to rank in search engines like Google and YouTube. What our keywords will be? We need to find a keyword which has “buyer” quality. What’s that? See, when a person is finding something on internet – He has 3 different mode. Mode 1 : Firstly, He/she might be just surfing internet – in this mood, Keywords will be like “cricket news”, “celebrities chat” etc, are you getting my point? Mode 2 : He might be looking for some information or something for free – here, keywords will be like “money making tips”, “blogging tips” etc. Mode 3 : When he is in buying mood!! – the real money lies here – Keywords will be like “top ways to make money online”, “top money making eBooks”, “best course to learn blogging” etc.. So, we need to focus on the people with buying mood. But how to find these keywords? Go to Google Keyword Planner and enter a broad keyword around your niche like “internet marketing”, “article marketing” etc, whatever it comes to your mind. Think a bit, what people will search to get what you are promoting, like if you are promoting CPA offers in internet marketing niche which offers you $2 per signup (email submit), then just go to the actual product page and read its title and get idea what is the offer all about, like for an example- if the offer gives an eBook on “how to earn money by guest posting” then your broad keyword will be like “guest posting”, “guest posting course” etc.  Keywords indicating person is in buying mood.  Check the countries from where searches are coming.  Target Keywords based on U.S. traffic.  Try to take keywords with $1 CPC (Check it in Google keyword planner). Why checking CPC is important? It indicates the profitability of a keyword. So for example purpose, let’s take a keyword, like – “best article marketing guide”. That’s It! Nothing else you need to know about keyword selection. Have you done these two steps till now? If you have done, then move to next step or else stop and do it now! Take Action! You can make powerpoint slides by collecting niche related pictures and convert it into video with background music.. Here is what I do, just go to fiverr.com and throw $5 to get your video ready. If you are on really tight budget, either switch on your webcam, record a 2mins video, telling the feature about the product/guide! Or if you are not ok in coming front of the camera. Collect some pictures and text around your niche and make a video of that. It’s very simple, just go to youtube.com and login with your Gmail account. And click UPLOAD button and follow the process. But you need to make essential changes to this page and these will help in ranking your video.. So don’t ignore!  In title box – put your keyword along with one more keyword related to the first one, you can see one example below, look at the title box in the picture.  At last of description, add “Term” section and write your keywords below it.  Put keywords as your tags! Don’t forget this – its important step! Until now you have done niche & keyword research, video creation and you got your video up and running. Now the only part left is ranking your video both in – YouTube and Google. First, you need to know one thing about ranking videos! That is – in YouTube ranking depends on how much popular the video is, i.e., how many views, likes and comments it has. Comments shows people are actively participating, thus, YouTube think this video is popular and is something cool. As a result it ranks it higher. For Google Ranking – Google still believe in backlinks! Nothing else matters here! So, here is my secret strategy to rank both in YouTube and Google. This is what I am using myself and getting good result. For ranking in YouTube : You need to do these things: Get High Retention views, likes, comments and social bookmarking links. You can ask your friends for visiting and commenting on your videos. You can also share your video on social media sites like facebook, twitter etc. 1. Buy High Retention Views – Buy at least 8000-15000 views, don’t buy more than this! 2. Buy Likes on your video – 100 likes! 3. Buy comments – 50 comments! 4. Buy Favourites – 50! 5. Buy Social Bookmarking Links – 500. Where you can buy views, likes, comments & bookmarking links? You can from sites like – fiverr, SEOClerks, blackhatworld.com etc. 1. Buy everything at one time to make sure you get views at the same time when your likes and comments coming on your video, so that you look natural. 2. Don’t Buy Views without checking latest reviews of the actual customers. 3. Buy Link Wheels and Link Pyramids – 2PACKS from “Fiverr”. 4. Buy Blog Commenting – Only High Quality, from PR Pages 200 links. This is one round of Backlinking. Where can you buy links? 1. Check your ranking and give a few rounds of backlinking and don’t panic. You need at least 2-3 weeks these days to see ranking. 3. Spread your link on social media sites like facebook, twitter etc manually, it will take not more than 10mins. Now we are all set with video, now we need to build a simple wordpress blog, with simple & plain theme and have a simple post describing about that offer you are promoting in just 3 paragraphs. These 3 paragraphs will be such that – firstly it should seek attention, then it makes people interested for it, and then “call to action” & makes people ready to grab the offer. “Hi, Do you Want to make REAL money with article marketing? -Training on how to earn at least $2500/m working like 7-8hours per week. Third Paragraph will be “Call to action”. 1. CPA offers – like email submit. Pay per lead offers. 2. CPA products from one of my favourite CPA network – CASHNETWORK. 3. You can also promote CPA offers of ClickSure. 4. CPA offers of private offers. Just anything, you just need to see if the offer is related to your keyword & niche or not. If you find a product which is related to your niche and having good conversion rates. Go with it. Sounds Good? Yeah? Hmm. 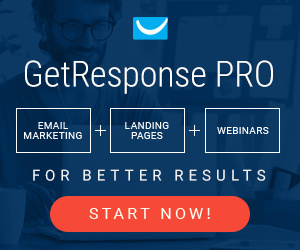 I am going to tell you how to super-ROCKET your conversion rate and thus increasing profit through your landing page which nobody care to do! But this can really make or break your conversion rate by huge amount. Do you know what is it? Yes! It’s a Proven method to work. While grabbing any offer, people really look what more they can get useful. And if they are getting some FREE Bonus! They get more excited to grab the offer. If you see from customer side, won’t you like to grab a offer if it can help you make money, AND on top of that, You are getting Free Bonuses with it. Will it be a good deal for you? Do you want to make it more interesting? What about email submit CPA offers?? where people get free guide just for entering their email. So just to enter email address, they are getting guide + BONUS! That’s how Conversion Rate increases like crazy! What to offer as BONUS? Go to your niche related forums like Warriorforum.com in internet marketing niche, and search for some products around your niche with “giveaway rights”. You can easily find those products in almost any niche. Or you can also, request the vendor/creator of the offer you are promoting to provide you some bonus and tell them they will free giveaway those bonus while promoting their offers. Many people will help you with that with no problem, as they are making money from you. 1. It should be your niche related. 2. It should be of use to the customers with decent knowledge. You need to list the bonuses you are providing just below the 3rd paragraph of your landing page remeber call in action one ? To make it attractive add price Value of your bonus with your estimation. All Free! If you Grab [Offer Name] with above link. What You need to Do is very simple, Just after uploading your video and changing its title, description and tags. Don’t click “Publish” right now. Wait! A drop down box opens, select “UNLISTED”. Next step, get 1000 views, 20 likes and 20 comments. Just after you reach 1000+ Views, go back to video manager and from “Unlisted” status, now change it to “Public”. So, at last I am going to tell you one simple “secret” on increasing your income! Scaling Up! Yes, it’s very necessary that you do all these steps i.e., have multiple videos ranked, for better and bigger profits. Think like this.. if you are making $300/m with one video, then what’s stopping you to put your second video on YouTube? What if you have 5videos like this ranked? $300X5 = $1500 per month. What if you got 10 Videos? $300 X 10 = $3000 per month! What can I do if I want a targeted country’s traffic?How to make call to action and get leads? based on referer, can you send me your link for me to join the network.